Things are finally starting to get official. After weeks of dillying dallying, Marvel is coming out of the closet and confirming stuff. First off, they’ve let us in on the launch of a new Captain Marvel trailer on Monday night’s football game to be aired on Disney-owned ESPN. To commemorate the occasion and drump up anticipation, they’ve released the second poster for Captain Marvel which you can admire below. 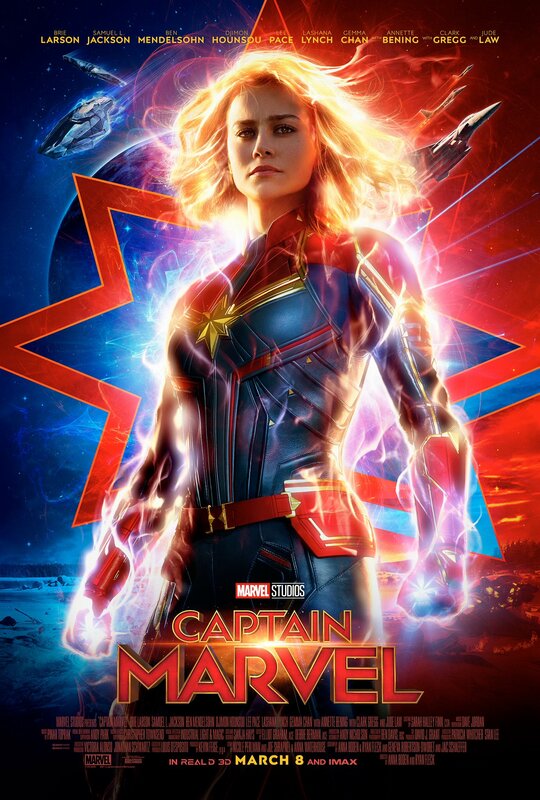 The poster itself is being well-received by fans and has all the trappings of a fiery Captain Marvel. Brie Larson looks lit in her avatar as she’s all charged up and about to unleash an undercurrent of fire. Behind her are remnants of the classic Captain Marvel symbol also seen in the pager logo in the post-credits scene for Infinity War. The poster is quite similar to some earlier posters conjured up by die-hard artist fans though that doesn’t stop it from standing out and seeming fresh, even so it largely represents the conventional hero pose. And boy does it feel good to see Clark Gregg’s name in the official cast. The confirmation of the trailer comes as this week is pegged as being a big one for Marvel fans. Between the Captain Marvel trailer, the Avengers 4 trailer and the Avengers Project, things are starting to look up and it looks like Marvel is set to dominate the conversation yet again. Let me know what you think of this in the comments below.